It has been just a few hours since we saw Sony officially rolling out the major bug fixing update 6.2.B.1.96 firmware over previous jelly bean 6.2.B.0.211 firmware. 6.2.B.1.96 firmware has fixed all the major bugs reported in previous updates ranging from 1080p HD Video Lag, Volume up button lag, Camera issues resolved etc. Well the great news is that DooMLoRD, renowned XDA developer has successfully rooted this new 6.2.B.1.96 firmware within an hour of its launch, let’s see how you can root 6.2.B.1.96 firmware on Xperia S, SL and Acro S.
How to Root Xperia S, SL, Acro S 6.2.B.1.96 firmware ? 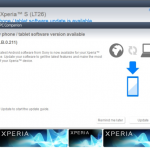 Below method works only for Xperia S LT26i / Lt26ii 6.2.B.1.96 firmware any customization. Do not try on any other variants. 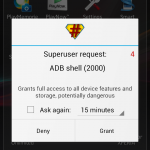 Download DooMLoRD Easy Rooting Toolkit v18 from below to root your Xperia S, SL. Download FlashTool from below link, if you don’t have it. Workin on both Locked as well as UnLocked Bootloaders. Download Flashtool, Open it. 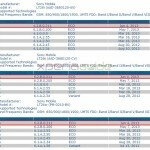 Flash the “XperiaS_LT26i_6.2.B.0.211_KernelOnly.ftf” file on your Xperia S. It is the kernel of an old firmware of Xperia S which was rootable. Reboot your Xperia S after flashing. Connect to PC in USB Debugging mode. 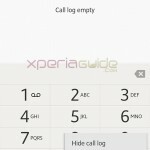 Follow onscreen instructions to root Xperia S and once it is rooted, device will reboot. 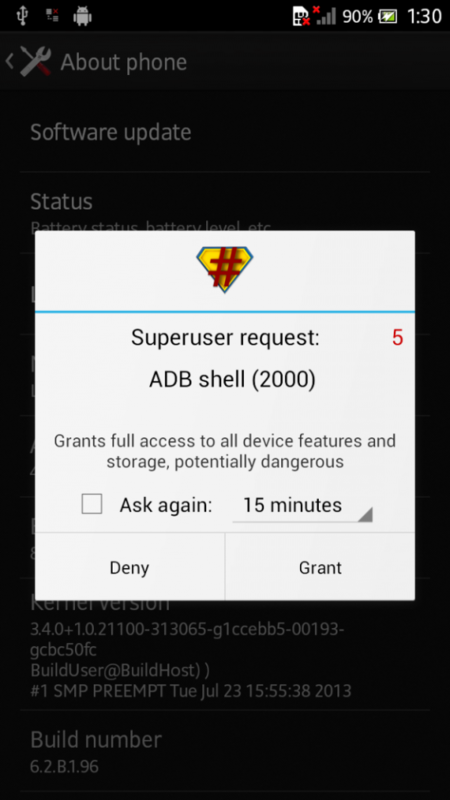 Verify that you are rooted, run SuperSU app. 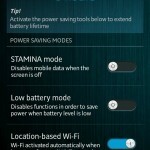 Now switch off your Xperia S. OPEN FLASHTOOL. Now you need to flash “XperiaS_LT26i_6.2.B.1.96_KernelOnly.ftf ” file in order to get back the true kernel of Android 4.1.2 6.2.B.1.96 firmware of Xperia S.
After flashing, disconnect the phone from PC, reboot it and your Xperia S is now rooted and we are done with rooting Xperia S 6.2.B.1.96 firmware. To root 6.2.B.1.96 firmware you just need to perform above steps carefully. 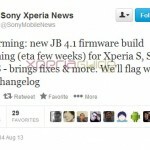 NOTE :- Xperia SL users can use their respective kernels or the kernels from Xperia S as posted above. P.S. We are not sure whether this rooting kit supports Acro S or not, still if you want to go ahead, root at your own risk. Respective kernels of Xperia Acro S are added below. Is Flashing Kernel Be Done On FlashMode Or FastBoot Mode ? I keep getting LT 26i is not supported when i try to root, I have flashed the old kernel and now trying to root. It also says “you need to manage to get remap pfn range addresses. well Lt26i is infidelity supported, many have rooted. Try re-checking your USB drivers, switch off your phone , use another port…remove any other things which may be taking any of your ports. Hello, I need help please, I do something stupid! To unlock the bootloader, I got there, it was after that it gets complicated. I wanted to install ClockWorkMod Recovery Touch 6.0.4.6 except that on your forum I have not found the right .IMG file that corresponds with my firmware (which is the 17.1.2.A.0.314), so I look internet .IMG the corresponding file. Believing to have found, I renamed it to boot.img and I run the manipulation “fastboot flash boot boot.img” in the command prompt folder Platform tools. Except that my tablet hangs on the Sony logo, makes a funny noise, then reboot non-stop. By against ClockWorkMod Recovery Touch 6.0.4.6 been to install, I get to go overboard. Finally I got there until I make another bull****. I look a bit in the options and I saw that could deactivate or reactivate the bootloader, I know more, I clicked anyways. Now my tablet and not at all to start, I just feel a small vibration at the beginning that’s all, no logo, no light. Please a solution? If I uninstall ClockWorkMod Recovery Touch 6.0.4.6 it can walk again? If I find the file IMG perhaps? (I think that I made ​​the IMG file download mobile Z2 and not the tablet). im currently at 6.2.b.0.200 unrooted, iwould like to try to root my phone, do i need to have first the 6.2.b.0.211 before i can get the 6.2.b.0.96? no directly update to 6.2.B.0.96 firmware directly and then you can root as per mentioned steps. yes it will be fine for XS/XSL. hi, with my Xperia SL, i have a problem. 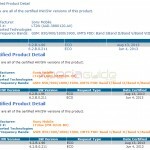 The name of the device is changed in Xperia S lt26i and not Xperia SL lt26ii! this happens when we flash XS kernel to XSL, in case you need to root your device which you have already done i suppose. So now you need to edit the build.prop file and change your device name back to normal. I’ve copied the ftf file into the firmare folder in flashtool but when I go to the flashtool UI to select the ftf file,it could not be found. What do I do? The bootloader needs to be unlocked? I’ll have to wipe my phone back to original configuration/personalization? Sorry about the newbie questions. I never did it before and my XPS is under warranty, so I don’t want to unlock the bootloader and lose it! It is written that above method works on both locked as well as unlocked bootloaders please see. you should make a full back up of data via pc companion and apks via antivirus. It may happen that you loose your data while flashing. About the warranty, if I need to use it, I can restore the phone via pc companion, wich will make it unrooted again. I’m right or Sony still can know if it was rooted? 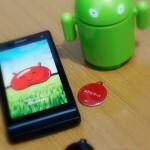 What about Sony Xperia Acro S? is there any way to root it? It’s easy to root Acro S, I did it last night. If you JB installed already, just flash the new ftf of .96, but exclude (untick) the kernal, and this keep your old (.200 or .211) kernal. After you have finished flashing the files, re-boot the phone and run Doomlords rooting program. It should work fine. Once you have confirmed you have root, use flash tool to flash just the .96 kernal (exclude all other files, by unticking them in flash tool), and you will have rooted .96 on your Acro S.
Worked like a charm for me, took less than an hour in total, including putting on a recovery. can i do the same way if i already update to .96? or down back to 0.211 then do as your method? Hi Ian! luckily I just read your comment, late but safe, I have a xperia acro S Jelly Bean, compilation: 6.2.B.1.96, but I could not so far rootearlo, I read that you managed to do it … I would like you to explain more thoroughly as you did, or if you can make a step by step tutorial please! THANKS ..! Ian how are you? I have time looking for the right way to rooting my xperia acro S LT26W, 6.2.B.1.96 compilation, but without success, I think you could help, serious kindly do a toturial explaining step by step how to do it? thank you! hello brother! I think you’re the only one so far has provided some light around this problem, in my case I tried several times rooting my xperia acro s, number of compilation 6.2.b.1.96, but …. I could not because all methods are incompatible with this compilation, you would be so kind as to make a tuto to guide us? in advance .. thank you very much! 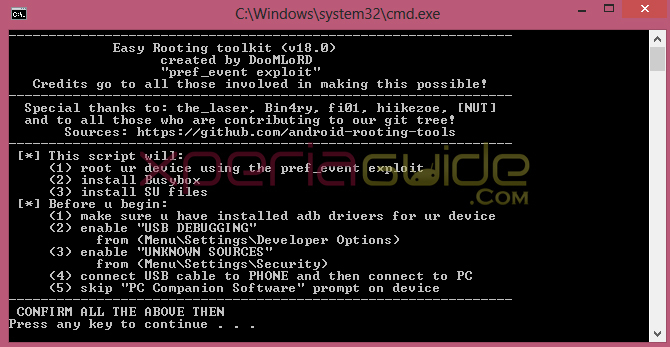 Does cwm recovery works after root this rom? I’ve Rooted My XS And After That I Flashed The 6.2.b.1.96 kernel Only And I Try To Install CWM Recovery But It Don’t Boot Into Recovery ModeBy Holding Volume Up Key , What Should I Do ? are you doing it right, i mean do you see “blue” light being lighted ? I successfully flashed 6.2.B.1.96 firmware. Then i flashed the old kernel. everything went perfect so far but when i run the rooting toolkit, it just stuck on ‘daemon started successfully’. Nothing happened after that. help please? Did you enable USB debugging, and allow apps from unknown sources? And do you have all the correct drivers installed? Can v root xsl by the same way Ian did with Acro S?? I assume so, as long as you have the correct .96 ftf for your phone. Hi! If I have the version 6.2.B.0.211 already ROOTED it is necessary to flash the “XperiaS_LT26i_6.2.B.0.211_KernelOnly.ftf” file, or I can jump to flash “XperiaS_LT26i_6.2.B.1.96_KernelOnly.ftf ” file??? See first you need to Flash the FULL JB .96 Firmware…. Done for Acro S! working perfectly. No there is not, you need to flash kernels as mentioned. Read the instructions and follow them carefully is what you need to do. 1. Flash the .96 firmware EXCEPT the kernel. (you can choose to exclude the kernel in flash tool). 2. Root the .96 firmware. 3. Flash the .96 Kernel (exclude everything except the kernel of .96 in flash tool). Muchas gracias ian, ya pude solucionar el problema, todo hecho de manera correcta como indicaste. 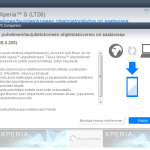 Xperia SL can simply use the Xperia S kernel? Friend me this happens, flash a kernel that 6.2.B.1.96 in my xperia acro s, when I reboot, the wifi does not work. the good thing is I still have root access, but does not work on wifi. I flashie thus in flashtool options uncheck all say wipe. and exclude options check all except the kernel. and click on OK. This well as I did?? please help. I do it with my acro s … very grateful. STo acro S does not work. i need jb.96 kernel ………………………………. ………………..plz guy provide the link ASAP!!!! i tried to flash the 0.211 kernal by using flashtool v0.9.9.0. but it gives an error “Block verification failed” and flashing is aborted.can anyone help me with that? 20/012/2013 20:12:31 – INFO – Please connect your device into flashmode. 20/012/2013 20:12:45 – INFO – Phone ready for flashmode operations. 20/012/2013 20:12:57 – INFO – Flashing finished. 22/039/2013 19:39:45 – ERROR – Cannot identify your device. 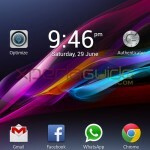 can you post the kernel only for xperia sl thanks or can i use the xperia s kernel? I have followed the instruction exactly, when I came to step 5, there is no auto reboot occur and Superuser app doesn’t install. I check with the root check app, they said my phone was not root completely. What should I do? Thank you. That work successfully and my xperia SL phone grant root access. Anyone here knows a solution? ps: i’m quiet new to this, so i’m honestly sorry if this is a real stupid question. i stuck at here.. how to solve it?? does rooting void the warranty of sl ?? Try to flash my Acro S, but not success.. anybody can help me? What did i miss out? 18/035/2014 12:35:36 – INFO – Please connect your device into flashmode. 18/037/2014 12:37:10 – INFO – Please connect your device into flashmode. 18/038/2014 12:38:09 – INFO – Please connect your device into flashmode. 27/013/2014 09:13:40 – ERROR – Error in processHeader : 1 : Incorrect function. what i suppose to do ?? plz help me out, thnks in advance….. I cant download the files somehow. My anti-virus also throws a pop-up notification about the dangerous conents of the website. Even when I switch it off, the download link gets me to download an .exe file of 342 kb which offcourse is an infection (I think so). Anyway, Can some body let me know if there is somethin I may be missing out on. Also, I have another doubt. I flashed .211 ftf file a few months ago and my phone is already rooted and I am running PacMan 4.2.2. Now I want to switch to another ROM for which I would need .96 kernel. So should I flash the .96 firmware or should I just flash the kernel? My sole purpose to switch to another ROM is to get my phone to run faster(less lag) and have more RAM. Your blog says with new firmware we would have more RAM available to us. So would it make sense to just flash the whole firmware and not have any ROM cz my purpose will anyways be served with that (i.e, more RAM). Waiting for a response on this. Thanks guys ! I have finally rooted my Xperia S. I have one question to ask… How can I now install CWM to be able to install a different ROM?? I tried different ways and methods every single time the installation was successful however there is no way to access it. When I am trying to reboot in the recovery mode the CWM appears on the screen for about 0.1 sec something is automatically selected and the phone begins to boot as usual. Thank you very much dude! I’ve successfully rooted my phone. Hi, I tryed to flash my Xperia S, but I am stuck at connecting device. The screen about connecting device appears. I connect my device with vol. up button pressed. Blue LED is shining, but flash doesnt work. 03/017/2014 20:17:38 – INFO – Please connect your device into flashmode. 08/054/2014 02:54:18 – ERROR – Drivers need to be installed for connected device. 08/054/2014 02:54:18 – ERROR – You can find them in the drivers folder of Flashtool. did you install the drivers for your device from the flashtool folder ? when i download the flashtool driver for XSL it tells me that the installation failed .. so is it my pc or that this version of flashtool is old or something like that ? XSL 96 and 211 KernelOnly.ftf ?? pleeeeeeeeease ? Thank you very much, perfectly done!